Violet is so excited as she has finally reached the height required to ride Plunger, the biggest and scariest rollercoaster around. But just as she is about to get on the ride, disaster strikes: Violet literally shrinks to the size of a fish finger. Her chances of riding Plunger are ruined, but that’s not the worst news: her granny has been accused of stealing jewellery from another resident in the retirement centre she lives. But can Violet’s new found talent become an advantage rather than a hindrance? Can she find out who the real culprit is and prove her granny’s innocence? Shrinking Violet is on the case. Shrinking Violet is the first book in a new series aimed at readers aged seven and above and with a storyline jam-packed with all sorts of shenanigans, nasty baddies and hilarious situations, the story will appeal to both boys and girls in the targeted age-range. 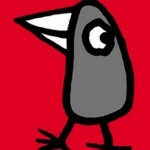 The design of the book is a real success and helps bring to life an already brilliant little story. Firstly, there is a play with typography and illustration within the text, which help set the overall tone of the story. The use of different fonts mirror what is happening in the story and what is being said in the dialogue. And then there are the lovely black and white illustrations by Kirsten Collier not only break up the text, making it more accessible for young readers, but really bring the story to life. I love Violet, with her big bright eyes and freckles, and Barry Bling is suitably smarmy looking. Though the story is definitely fun and light-hearted, it also touches on more sensitive subjects. 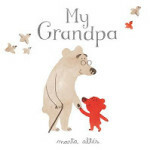 The special relationship between Violet and her grandmother is particularly touching, but it seems also there was a subtle hint at the granny’s mixed feelings at being in the home. 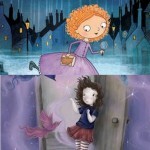 Many young readers might also recognise the constant bickering between Violet and teenage sister Tiffany. This allows to give realism to the story, and despite the obvious element of fantasy, many young readers will be able to realte to at least some aspects of the story. There is definitely something fascinating about miniature characters for young readers and Shrinking Violet is no exception. In the best tradition of Mrs Pepperpot and The Borrowers, she uses her size to do good and to have fantastical adventures. Shrinking Violet is a fun story with a difference. It is cheerful and fun, and introduces the detective genre quite successfully to young readers. It also introduces a lovable heroin, who certainly is no shrinking violet, and readers will look forward to her forthcoming adventures after reading this first volume. 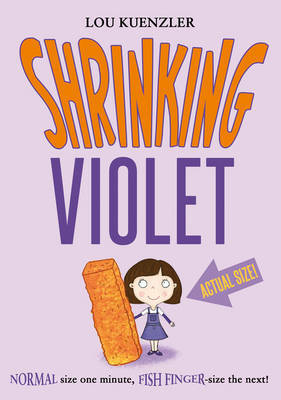 The second book in the series, Shrinking Violet Definitely Needs A Dog, is out in January.